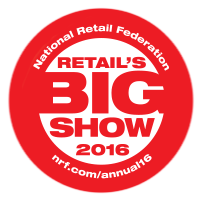 LYONSCG will be at NRF’s BIG Show in NYC, and we’d love to see you there! NRF’s Annual Convention & EXPO, also known as “Retail’s BIG Show,” will be held at the Javits Convention Center from January 17-20th. This is one of the retail industry’s main events and offers attendees the chance to gain valuable education and retail insights, to network with industry peers from around the world, and to experience the most innovative technologies in the convention EXPO hall. LYONSCG will be a part of Demandware’s booth (#4103) in the EXPO hall, showcasing our work with luxury watch retailer, Tourneau. If you’re a retailer, you’re well aware that shoppers expect a lot when it comes to their buying experiences. 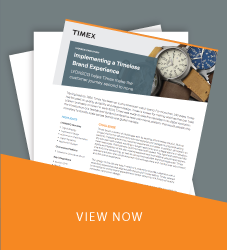 Tourneau knew they had to create a seamless shopping experience across all channels, or else risk losing out on business. Tourneau and LYONSCG will showcase how the retailer is winning shoppers by leveraging the Demandware platform across all channels, from personal devices to in-store tablets. Stop by Booth 4103 to learn how Tourneau’s unified shopping experience applies to your eCommerce business strategy. After Sunday’s sessions, come wind down with your peers for Sunday Night Football. LYONSCG is co-hosting with Demandware a game watching party of the final NFL divisional playoff game. Come by Iron Bar & Lounge from 4:30-7:30 on Sunday, January 17th, and enjoy bar bites and tasty brews while you cheer for (or against) the Broncos! LYONSCG will also be hosting a dinner at PRINT. Restaurant on Monday, January 18th at 6:00 PM. Join us at one of the country’s leading restaurants dedicated to seasonal, sustainable cuisine, and enjoy a great night filled with delicious food and drinks and fantastic company. For more information and to RSVP, please click here. If you have any questions about Retail’s BIG Show, or would like to meet with us one on one at the conference, feel free to email Mary Clare Riordan at mriordan@lyonscg.com to set up a time. We look forward to seeing you all in NYC!